2015’s Love-it-or-hate-it RPG has one of the best soundtracks of the year. Perfectly fitting the moments of sadness and joy (and killing everything if you go that route), it’s the icing on the cake of what is at least a game not afraid to break tropes and boundaries of its counterparts. This unexpected retro-styled hit sports some of the best music in its genre. The entire soundtrack is expertly crafted to fit the feel of the game, a platformer that harks back to the Nintendo and Sega games of the 80s and 90s. It doesn’t try too hard to be retro, it just somehow happens. And it’s great. Whether you’re about to be shot down or in the process there of, the music from Ace Combat Zero expertly fits what is happening on screen. The guitars, with other engine noises in the background are a creative use of the game’s subject and never get tiring. If you’ve ever played World of Warcraft, then this epic track is most likely in the most precious of your gaming memories. Composed brilliantly, it sets the atmosphere for what the game is all about and no matter who your character is, as you walk through the huge statues and buildings, will make you feel strangely insignificant for lack of a better word. Who could forgot first wandering through Stormwind’s gates as a low level alliance player? Pure brilliance. Honourable mention to the Elwynn Forest music. One of the most genre defining games of all time, Grim Fandango is an iconic classic. As Manny Calavera first wanders through the Day of the Dead festival, this music will greet you and set the scene for the smooth talking, dangerous, puzzling, mysterious and fulfilling adventure that lies ahead. 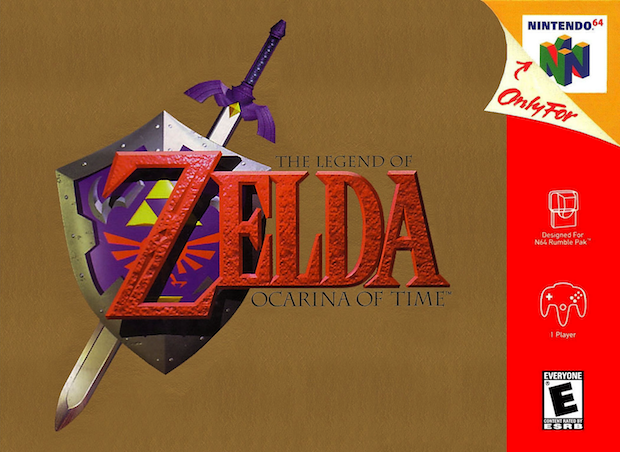 If you ask someone to name music from a video game, they’ll probably answer with a track from the Zelda series. Nintendo’s iconic action RPG sports some of the most creative and defining music of gaming. However, fifth on this list is where it all began. The Legend of Zelda. Listening to it now, it’s almost unbelievable how the developers made music so atmospheric and great sounding with the equipment at hand. Amazing. Arguably the best RPG ever created every single moment in Chrono Trigger, from the sad to the funny to the happy is backed up by a majestic musical experience. This track is without a doubt one of the most cherished in all of gaming. Another iconic game from the Super Nintendo Entertainment System, this particular track’s mysterious nature and alien atmosphere perfectly complements the gameplay and what is happening in front of your eyes as well as your ears. A haunting, melodic track from a game with the same aspects. Not just music, but rather an experience. The original Portal. A game that displays why we love Valve and why it truly is one of the greatest in combining gameplay and story telling. After you’ve “defeated” GLaDOS and the promise of cake has been all but forgotten, you are greeted with the end credits and an amazing tune. Perfectly combining humour and atmosphere, the lyrics are well thought out and funny, and prove that games can be art. Lucas Arts’ master piece of the 90s and without question the most iconic adventure game of all time. This is the inspiration and influence for nearly every game in the genre today. Adventuring a Caribbean paradise as well as the darkest depths of hell and figuring the ultimate mystery are memories engrained into so many. But the thing that makes the game, the entire series, so special is the music. The standard that every game in not only its genre but adventuring games as a whole is this. A masterpiece from visuals to music. Will we ever reach something of this level again?